Hrithik Roshan, who was hospitalised for an allergic reaction to an antibiotic medicine, has returned home but has not allowed his sons to see him. "They'd get so scared if they saw me like this. Though my lips are going back to their normal size, they're still not fully normal. I don't want my sons to see me until I look like myself again," said Hrithik. The actor, who is married to Sussanne, has two sons - Hrehaan, 4, and Hridaan, 2. "This kind of attack happens in the rarest of rare cases. But it happened to me. Anything could've happened if I hadn't rushed to the hospital," said the actor who was rushed to the hospital Sunday and was discharged on Monday. The actor was on his way to a very dear friend's funeral when it happened. In fact, so alarming were the symptoms that Hrithik just rushed to the hospital. "I was driving to a friend's funeral when the attack suddenly happened. It just makes you so grateful for the gift of life." The 36-year-old had gotten so frightened that he had checked into the hospital alone. "It was crazy! I'd have been frightened to death at what I saw in the mirror. Within minutes my lips had swollen to 10 times the normal size. Luckily for me, even in that shocking state, I remembered Eddie Murphy in a film where his lips had swollen to monstrous proportions because of an allergy. So I knew it wasn't fatal," he said. Hrithik was immediately able to identify that it was an allergy caused by a new antibiotic he had taken half-an-hour earlier. "That was the only alien substance introduced in my body. I told my doctors about it. And they were immediately able to locate the source of allergy. Such violent allergy attacks usually happen in the West after eating prawns. "I must be the only person in the universe to get so sick after taking an antibiotic pill," said the actor who has earned rave reviews for his performance as paraplegic patient in "Guzaarish". 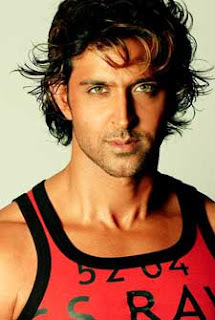 Hrithik is overwhelmed by the response to his performance in "Guzaarish". "I guess this (the hospitalization) was god's way of balancing things out. I was getting much love for my performance it had to be counter-balanced." "Guzaarish" has taken Hrithik to new heights of self-realization. "How can one not be affected when you meet these people who are paralyzed for life? Their spirit and joie de vivre just overwhelms you. I'll always be grateful to Sanjay Bhansali for giving me the opportunity to do this film." "'Guzaarish' is a different scale and space. The closest I've been to this space is 'Jodhaa-Akbar'. It's an entirely different experience when you know you're affecting lives beyond entertainment."